Kickboxing returned to Moscow with a bang, with a European title at stake and four top class fighters from different countries doing battle, excitement was never going to be at such a premium. The cream of Russian, Belarusian, Kyrgyz and Czech fighters descended on the Russian capital all aiming to get their hands on the WBKF Super Middleweight European belt. The Arbat Club was the first arena to host professional kickboxing after the collapse of the Soviet Union and it still remains the No.1 venue for the sport in Russia. 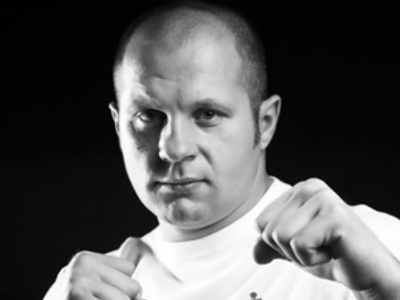 Two-time Eurasian champion Kalkan from Kyrgyzstan went into his semi-final bout with Yury Gorbachov as the slight favorite, but the Belarusian – a former European WKA title holder – was anything but a pushover. The clash went the distance of three titanic rounds. Kalkan's cultured approach met head-on by the tenacious and dogged Gorbachov. The Minsk native dispatched blow after blow, but Kalkan's studious combinations looked to have given him the slight edge by the bell. The judges agreed, handing the Bishkek man a unanimous path to the decider. The second semi-final was a wholly different affair. Russian Aleksandr Stetsurenko stormed out of the blocks, pounding the head, body and legs of his Czech opponent. Anatoly Khunonyan was no slouch, having twice been crowned world champion in the amateur ranks, but the step up to pro proved to be a tough one for the Prague fighter. Stetsurenko produced a clinical display of attack kickboxing that had Khunonyan down on the canvas twice in the first round. The second time was enough for the referee, and he called a halt to proceedings. And so the final was set – fists of fury Stetsurenko versus the leggy Kalban. A cagey start was soon forgotten as the Russian connected superbly with his punches halfway through the opening stage. Unable to come up with any real reply, Kalkan’s main achievement was making it to the end of the first three-minutes. Stetsurenko knocked him down three times in quick succession before the man in the middle decided enough was enough. “I am very happy to win the title. I was the Russian champion and now I am a European belt holder and this is my biggest to achievement so far. The aim now is to keep on training, getting tougher and winning,” Aleksandr Stetsurenko said. A stunning performance from the former wrestler from Saratov and one which ended with the greatest achievement of his career wrapped around his waist – the WBKF Super Middleweight European belt.